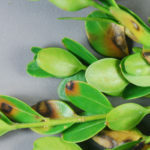 Woody plants in cities and home landscapes are threatened by scale insects. 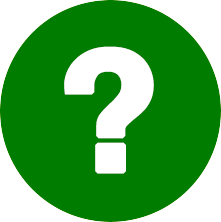 Learn how to choose the best control for your scale problem. 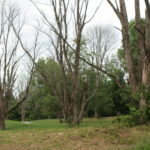 Avoid injury from falling ash limbs by promptly removing dead and dying ash trees. Don’t do it yourself! 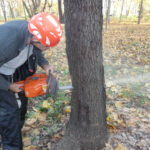 Hire a professional to safely remove your brittle trees. 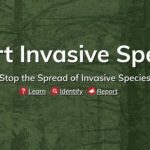 Dusty looking spruce, arborvitae, boxwoods and rhododendrons in the fall could be signal the presence of cool season spider mites. 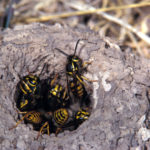 Eliminate stinging threats from ground nesting wasps by treating them at night when they are all tucked in their nests. 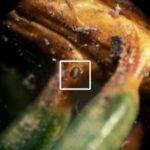 Mighty Small Spider Mites Wreak Havoc This Summer. 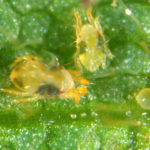 Control spider mites by mechanical control and improving conditions for predators and fungi. 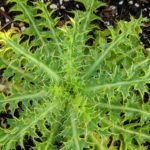 If needed, follow up with pesticides to rescue ailing plants. 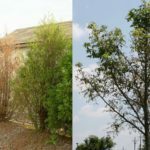 Will my Trees Recover After Losing Their Leaves? 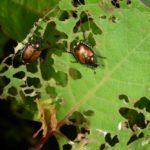 Now is the time to look for Japanese beetle injury to see if action is needed to protect your plants. 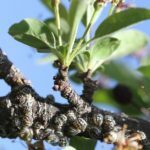 Scale insects are difficult to manage because their waxy or sticky covering protects them from insecticides. 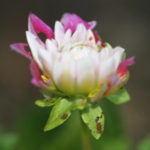 Learning about their life cycle can help you protect your plants. As we move into summer it is time to be on the lookout for Japanese beetles. 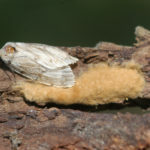 They are already being reported by Indiana Nursery Inspectors in Southern Indiana. Continued warm weather and precipitation should bring them out throughout the rest of the state over the next few weeks. 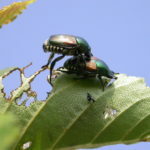 See our bulletin Japanese Beetles in the Urban Landscape for tips on controlling them without killing pollinators.